The life of the 41st President of the United States of America (USA), George HW Bush, is being globally analysed following his death on November 30, 2018. Inevitably, it generally takes death for such discussions which often become outlets for platitudes. That aside, there are a number of things about former US President Bush that have been spoken about glowingly long before his death. Despite being a politician with its unfortunate stereotyping, the decency, as embodied by the character traits he exhibited publicly, has always been a high point that was recognised and commended by both colleagues and opponents within the USA and across the globe. That speaks volumes of his influence and contribution with one commentator stating that arguably, Bush may be the most consequential one-term President of the USA. That was seen in the context of his foreign policy, more specifically his invaluable role in ensuring that the cold war between superpowers, the USA and the USSR, ended without a bullet being fired or a bomb being dropped. It is said that Bush understood the consequences for humanity had it been otherwise and demonstrated astute leadership to forge the outcome as recorded in history. East and West Germany were reunited under his watch and he has been credited in some ways for the breaking down of the Berlin wall. He didn’t visit at the time citing it was “Germany’s moment”. That showed humility and not gloating even in time of great achievement for he did not want to be a distraction. That is not something that comes easily for most politicians and can be summed up with various words, including understanding and vision; understanding fully the gravity of the situation and a vision of its possible consequences for the future. In that context, Bush has been credited for his vision for ensuring the cold war ended the way it did. Vision is therefore a critical element, especially for those in leadership positions, if they were to make meaningful impacts on the lives of their subjects. Unfortunately, a lack thereof has proven detrimental for country and people as captured by history in various parts of the world. Currently, here in Guyana, the 2019 Budget is being debated in the National Assembly. Just after its presentation, it was deemed visionless by the Opposition. While some my rush to point out that the Opposition has to oppose, an examination of the budget, especially in the context of the Government’s boast of providing a ‘good life’ for all citizens, does not allow for a dissenting opinion. 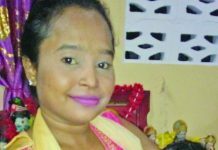 The plight of many ordinary farmers from whom higher rates for land rental have been demanded by fiscal measures imposed over the last two years, is just one simple example of how the lives of some Guyanese cannot be improved. One report suggests that the hike in rates for some in Black Bush Polder is from $12,000 to $45,000. In previous budgets under this Government, numerous taxes were imposed which broke and continue to break the backs of ordinary Guyanese. From all indications, the budget does not reflect measures for relief and therefore becomes more punitive than mitigating and can be seen as counterproductive to the Government’s own mantra of bringing the ‘good life’ to all. If any one section would not benefit, then the Government would have failed despite the good intentions. This brings into question the comprehensive preparation that is necessary for a national budget with realistic deliverables based upon the available and accessible resources; in other words, vision for positive holistic impact. The Berbice River Bridge has positively impacted the country and the people, so did the Demerara Harbour Bridge. Today, none can imagine life without those facilities and former Presidents Bharrat Jagdeo and Forbes Burnham must be credited with the vision. Similarly, projects like the expansion of the Cheddi Jagan International Airport (CJIA), the Marriott Hotel, the Guyana National Stadium, the Ophthalmology Hospital and other regional health facilities, the Low Carbon Development Strategy (LCDS) and the numerous housing initiatives under Jagdeo and the People’s Progressive Party (PPP), are just a few others that have made a tremendously positive difference to the country, locally and internationally. The current Government has held onto the CJIA expansion, despite cutting its funding when in Opposition, just as it did the Specialty Hospital and the Amaila Falls Hydro Project. The untold benefits of the latter two, had they materialised, can now only be imagined. 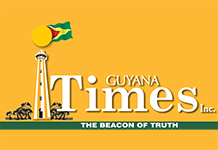 Its absence, or in actuality, Guyanese deliberately made to be deprived of their benefits, can be seen as lack of vision for forward advancement and an imposition to prevent development. In the end, the people with no access to the much-needed services, will suffer and the Government responsible for the deprivation will always be branded as one that lacks vision and one which places itself above the welfare of the country and citizens. Similarly, with an absence of tangible measures to improve lives and for transformative projects, branding Budget 2019 as visionless may have hit the mark. Some may posit that the authors are not like Bush.